Twenty-eight years ago today, veteran editor Mike Carlin started his career at DC Comics. He was 28. Probably best known for his time as the editor of the Superman line of books in the '90s, "The Great Carlini" worked at Marvel before DC and brought some of that over-the-top, self-promoting, Stan Lee spirit to the Distinguished Competition. He eventually rose to the rank of Executive Editor, and currently works in the company's Burbank offices as DC Entertainment's Director of Animation. 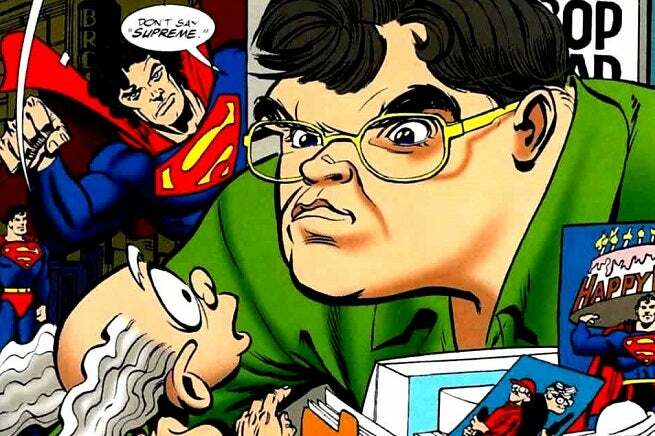 Carlin won an Eisner Award for Best Editor in 1994, at a time when the whole Superman creative team was riding the critical and commercial success of the Death and Return of Superman stories.